Cinematic Paradox: "How's your thirst for adventure, Captain?" "How's your thirst for adventure, Captain?" Starring: Jamie Bell, Andy Serkis, Daniel Craig, Nick Frost, Simon Pegg, Daniel Mays, Gad Elmaleh, Toby Jones, Joe Starr, Cary Elwes. I was quite sceptical about going to see The Adventures of Tintin since I had no background knowledge on the ginger-haired journalist. Sure, I may have flicked through a couple of Tintin books at my school library as a kid, but I can't say I was ever that interested. So like The Muppets, which I saw less than an hour before this one, I was in for a completely new ride in what is quite an old adventure. And just like The Muppets, I enjoyed it quite a lot. Right from the moment when we were introduced to Tintin (who is voiced/played by Jamie Bell), getting his painting done (and the painting looks just like Hergé's original drawings, which would have been quite cool for many fans) while his cute dog Snowy investigates a wallet-thief, I already felt quite entertained. It was like a warm fuzzy feeling as Spielberg pulled me into his beautiful cinematic arms and didn't let me go until the credits started rolling. Those cinematic arms are ones that I have been familiar with since I was a lot younger. A lot of people have said that since Schindler's List Spielberg became disinterested in telling silly little stories of happy adventure and started to become more serious. While this may be true, I love Spielberg either way. But I must admit, Spielberg does adventure better than anyone else, and that is particularly evident in The Adventures of Tintin. He knows how to have fun and make sure that the audience has fun, too, no matter what their age or interest in the titular hero. Teaming up with Kiwi Peter Jackson, he creates the kind of movie that is the epitome of a childhood at the movies. The children will go, and they will be enthralled. Their parents will go, and they will remember the days of yore when they watched adventure-filled movies just like this one. The only thing that is different is the terrific motion-capture animation which looks almost real, and of course, the 3D, which I didn't experience the movie in. I don't think an added dimension could have made the movie any more fun for me. The visuals are something close to a marvel. Through motion-capture, the characters look quite real. In close-ups, you can see the wrinkles around their eyes and the age-spots on their faces. It is a perfect use of the technology, and really makes me wonder about the future of animation. While I still like my Pixar animations that have humans with big, googly eyes, motion capture is something which, done right, I would like to see more of. Especially if Weta Workshop do it. Who, may I remind you, are from New Zealand. They are exactly why I'm proud of being from here. Spielberg uses their work to his absolute advantage, with some spellbinding visual work from his 'camera'. I'd always wondered how you could possibly direct an animated film, but Spielberg showed me that a lot could be done with it. I'm sorry if this review is starting to sound like my love letter to Spielberg, but his work really is great here. 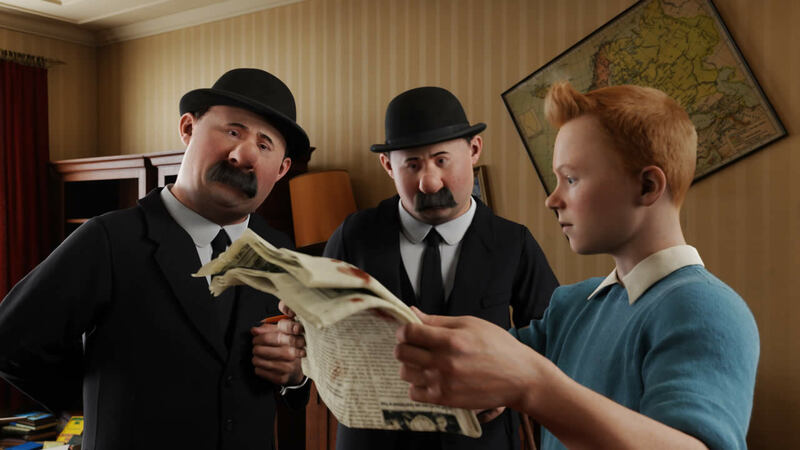 The Adventures of Tintin is written by the best that Britain has to offer. Steven Moffat has written such television shows as Sherlock and Doctor Who, Joe Cornish has had recent success with Attack the Block and Edgar Wright is the guy behind Shaun of the Dead and Scott Pilgrim vs. the World. They do such a great job creating a fun-filled ride that doesn't ever stop or slow down, filled with colourful characters which easily come to life on the screen. If Tintin were a real person, I'd probably be in love with him, and his amazing hair. I'm currently in the process of trying to make my dog like Snowy (he's turning white anyway, so I'm half way there). Haddock (Andy Serkis) was just a fun guy who I'd love to have around, preferably off the bottle. Thomson and Thompson (Nick Frost and Simon Pegg) were handy fellows, even though I didn't properly get their wallet-thieving storyline and its relevance to the story. The villain, Sakharine (Daniel Craig), sure was evil. I actually didn't recognise Craig's voice, so he did well there. If there was one little niggle I had with the story that the script-writing team executed, it would have to be the fact that when you look at the bigger picture, the story is virtually meaningless. The adventure that Tintin went on was not one that was going to change the world in any way shape or form, and if the team didn't succeed it would only really be a personal loss. Still, without the urgency in the story, I was behind Tintin 100% and I was having too much fun to notice any flaws. In this day and age, the average family fare is a movie with talking animals, 3D and caricatures rather than characters. 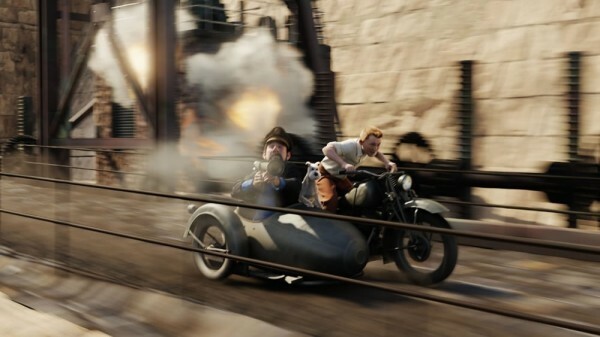 The Adventures of Tintin does away with all of that (save for the 3D), and takes old-fashioned entertainment and puts a modern spin on it. And for once, I am actually looking forward to a sequel and the rest of the franchise, because after the way this started, I imagine it can only go upwards from here. But if there was one moment that I loved more than any other in Tintin, it would be when he was swimming in the ocean and all you could see was the tip of his hair, which could be a direct reference to Jaws. I remember saying this in my head: "thank you, Steven Spielberg, for reminding me of why I love going to the movies." Excellent review, and as you say, an excellent movie! I really enjoyed every second of this film - when I first heard of this idea I thought it was going to fail, but was surprised when I saw how good the trailer was, and the movie was AMAZING so that made up for any doubts I had. Good review. I think this was one of the better films I saw in 3D. 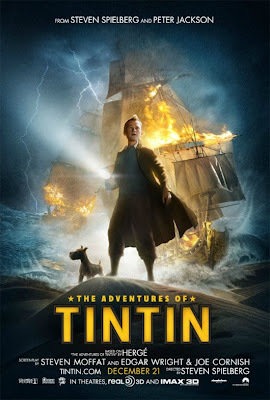 I really enjoyed the film, and I am not a Tintin fan like you, so that was completely unexpected. My favourites in the film however were Haddock and Snowy. One of the biggest criticism that people have regarding the film is the randomness of Tintin's character, and I sort of agree with them. He was just there. But I had too much fun while watching the film to really care. And like The Muppets, I am also a massive fan of Tintin (both TV show and comics). Again, good to know that as a non-Tintin fan you really like this film, as it does give an 'all round' film watching perspective on it, in away. Spielberg may not score much points when it comes to his use of motion-capture animation here but the film still benefits from a fun and kinetic direction that brings him back to his old Indiana Jones days. 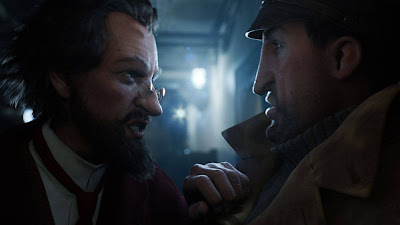 Serkis is a riot the whole time as well. Great review Stevee. Good movie and very entertaining indeed. Not sure why I liked it more (even though I was a fan of the comic books) but I would venture that the limitations of the source material, mainly no character building whatsoever, makes it less emotionally engaging than it could be. Jordan - Spielberg always does his best, so of course this would be amazing! Fan references...I love them if I can actually get them, haha. Nikhat - Haddock and Snowy were awesome. Especially Snowy. I'm seriously thinking of buying this model from Weta Workshop of Snowy. And Tintin...yeah, he was just there. Mind you, I didn't really notice that much, because there was too much fun to be had elsewhere. Ruth - Anything that Weta makes, I'm there for! Yeah, all the fun makes you forget about most things...this review was quite hard to write! Cherokee - You guys got it so early! Which is weird considering Peter Jackson's from NZ and always give us his films first. Haha. Definitely check it out! Dan - The kinetic direction was the best! Thanks! Castor - There wasn't a whole lot of character building, but I did like how it jumped straight into the action.